The Story: When Charlie Varrick was a crop duster, he was “The Last of the Independents”, but corporate consolidation froze him out of the business, so now he’s a bank robber. When his gang accidentally steals an unreported cache of mob money, he realizes that they’re in real trouble. How it Came to be Underrated: This one is only underrated in the sense of being undiscovered. There were just too many great movies coming out in 1973. Everybody who sees it loves it. It’s the sort of movie that makes you happy to find someone else at a party who’s seen it. We’ve seen it a million times: The heist gone wrong. The bag full of mob money. On the run from both the cops and the mob… until they make their stand. The only thing that makes this one different is the level of skill involved. It’s a master class in writing, directing, and acting. When but in the ‘70s could a guy who looks like Walter Matthau be able to make his living as a leading man in gritty thrillers? After all, compared to other '70s megastars like Elliot Gould and George Segal, he was downright manly. Matthau tears into the role as a consummate professional thief holding back a surge of regrets and recriminations. 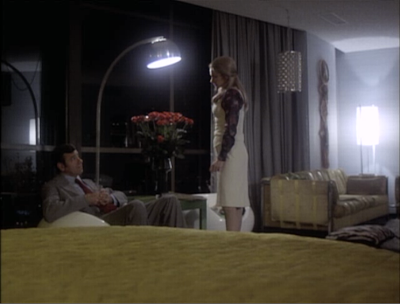 And when but in the ‘70s could a guy who looks like Walter Matthau seduce a lady by suddenly muttering, apropos of nothing: “I like your bed”. The sad, childlike, homemade quality of that sign says more about the poignant world of the girls there than any “mama didn’t love me” dialogue could. As the story unfolds, I love how Charley is always one step of the viewer, but only one step ahead. When the scene begins, we might not be sure why he’s doing what he's doing, or not know how he’s doing something, or what he’s going to do about some problem, but we catch up by the end of the scene with a little “a-ha!” when we figure it out. The writers toy with us, but they don’t abuse their position. There is no “everything you know is wrong” moment. Those moments are put there to show how clever the screenwriter is. In this movie, you’re thinking about how clever Charley is. And you feel pretty clever yourself every time that you realize what he’s up to. 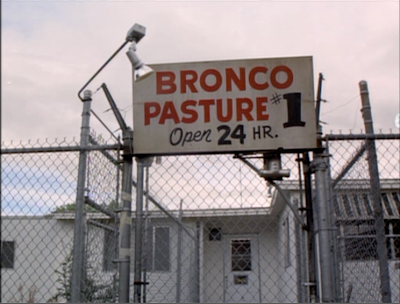 Underrated Compared To: Siegel’s most popular early 70s thriller, Dirty Harry. 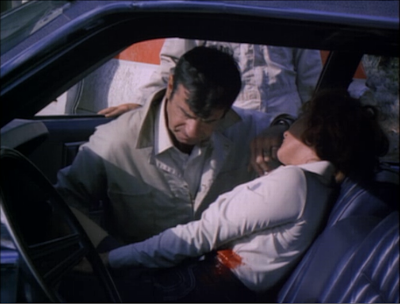 If You Like This, You Should Also Check Out: Matthau made two other great thrillers in the early 70s, The Taking of Pelham 123 and The Laughing Policeman. Don Siegel made more than a dozen fantastic little thrillers over the course of his long career. Two of the best are The Lineup and his remake of The Killers (1964). How Available Is It? : It’s on Netflix to “Watch Instantly” right now, and a DVD is in print. Unfortunately, the instant version has a 4:3 aspect ratio, so I suspect that this is a “pan-and-scan” version. I don’t know about the dvd. 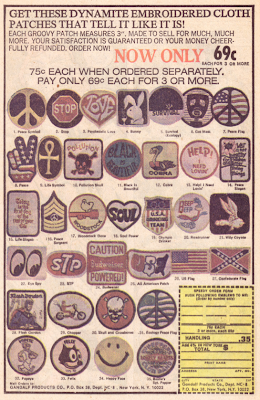 Today’s Post Was Brought To You By: Patches That Tell It Like It Is! 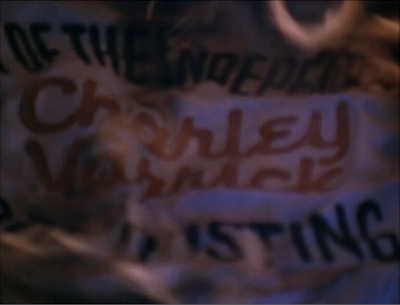 Charley Varrick is a little masterpiece. I seem to remember it was well received and reviewed when it originally opened here in London, British critics have (rightly) always had a fetish for both Don Siegel and Walter Matthau. My favourite element however is Andy Robinson, couldn't get enough of him in anything since seeing his turn as Scorpio in Dirty Harry at the Shepherds Bush Odeon on release. Your choices so far are impeccable, will you include older films from the 30's & 40's and importantly items of neglected european cinema? Oh sure, there are older movie coming, but not right away. At some point there'll be a "film noir week". And I'd meant to mention Andy Robinson, who is always so good. If you had one good role in a Siegel film, you were likely to get three or four more good roles from Siegel. I first noticed Robinson in Hellraiser, where he was very chilling. That's sort of his thing-- going from a shlub to a psychopath on the turn of dime. Thanks for reading and commenting! I am so glad Betsy noted on FUSE this blog is underway, have devoured each posting this afternoon! Thank you! Mathau said he did the picture to prove that his agent was wrong about how good the final results would be! 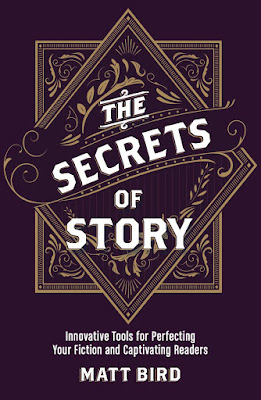 As William Goldman said about the picture business, "Nobody knows anything."